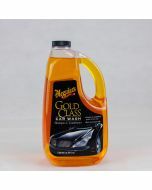 Preserving your autos finish while enhancing the shine is made easy with GlossWorkz. The first Gloss booster auto bath. In order to prevent the oxidation process, and maintain a perfect finish, gentle and regular cleansing is necessary. 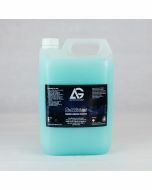 Glossworkz pH neutral auto cleans brings new light to paintwork finishes maximizing shine to any surface. Glossworkz is not a soap it is a highly lubricating cleanser. Biodegradable, non-toxic environmentally responsible and free of harsh detergents, Glossworks is brilliant. An organically derived alternative to traditional strong soaps and detergent strippers. The first ever paint cleanser with the chemistry of a gloss enhancer. Give your paint, waxes and sealants the maximum level of shine while extending their durability with every wash. 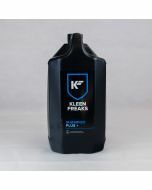 Safe to use on freshly waxed or sealed paint. If you want more gloss after washing this shampoo is an absolute must have! Just wash your vehicle like normal and you will be stunned by the amount of gloss it adds. Pour in only one ounce of the Glossworkz shampoo per 4 - 5 gallons of water in your bucket and begin washing. 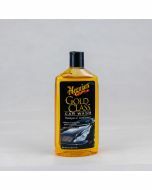 The pH neutral shampoo will help safely remove dirt, dust and all kinds of road grime. It will not remove the coating of sealant or wax from the surface but it will enhance their appearance. 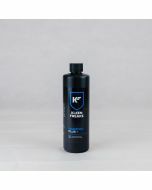 It boosts the appearance and protection of any sealant or wax. If you have any kind of protection or no protection at all you will notice the added gloss on the surface. It’s totally safe to use on your entire vehicle and you’ll love how slick it feels when you use it. This is the perfect maintenance wash product in between full details. Get more gloss with just with the Chemical Guys Glossworkz shampoo! Extremely concentrated diluted 1 to 640 with water. 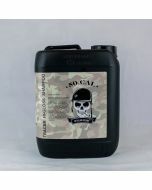 Mix Cap Full with 4-5 gallons of water for a superior cleans. Always wash vehicle when the surface is cool. Start washing from the top down and rinse the car often. Frequent rinsing is important if you are washing on a warm day. Do not allow the water to dry on your paint. Use a final rinse of free-flowing water (nozzle off the hose) allowing water to sheet off.